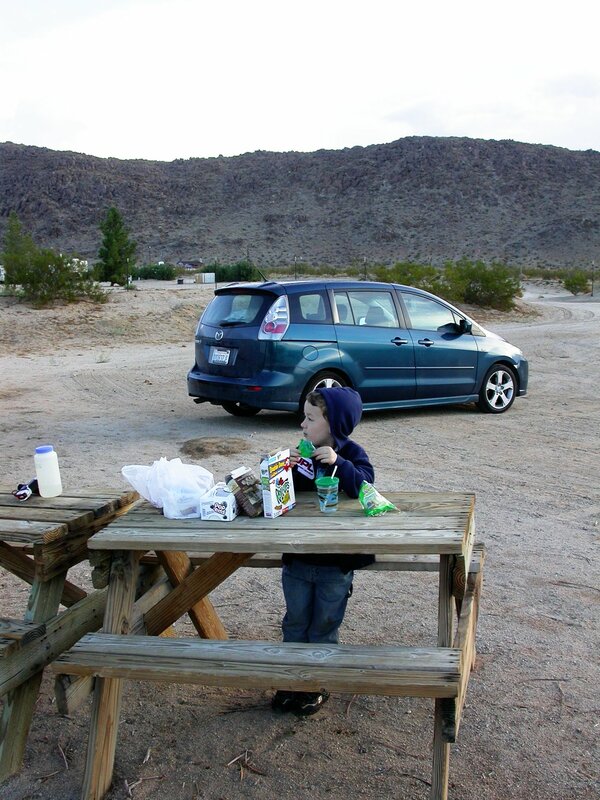 Last night my son London and I went to a star party at Joshua Tree Lake RV & Campground. 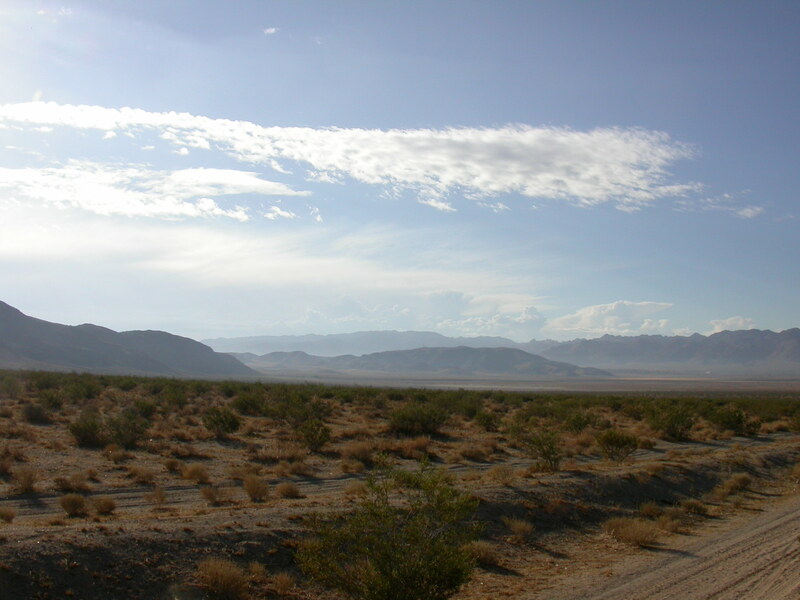 The party was hosted by the Southern California Desert Video Astronomers, and it was not like any other astronomical gathering I’ve ever attended. The SCDVA have a nice area of their own off the main campground, with a couple of big white screens on which they project live images taken through their computerized telescopes. It was my first exposure to large-scale video astronomy, and also my first experience with how the SCDVA put on a star party. In short, it actually was a party. There were probably 50 or so people in attendance, and there was an actual program with a series of MCs and live music and a guest of honor. The guest of honor was John Dobson, who is famous for basically inventing both sidewalk astronomy and the Dobsonian telescope. Dobsonians are just Newtonian reflectors on alt-az mounts, and the name “Dobsonian” was coined by people other than John. In his words, it’s just a cannon mount, and wars have been fought for centuries with big guns on “Dobsonian” mounts. He’s much more proud of having his name attached to Dobson’s Hole, which is what we Dob drivers call the area of the sky straight up overhead, because it’s such a pig to accurately point our scopes at targets near their axis of azimuthal rotation (frequent adjustments in non-intuitive directions, and no leverage short of bear-hugging the scope or putting handles on the side). What set John Dobson’s alt-az mounted Newts apart from those that had come before is that they were CHEAP and they were BIG. The cheapness was of necessity–Dobson started building scopes when he was a monk, and the associated poverty meant that he had to scrounge for telescope materials. The classic homebuilt Dobsonian had a thick cardboard tube, of the kind used for forming concrete; a base made out of plywood; and a mirror ground and polished by the telescope maker from a big blank of glass–in Dobson’s case, old ships’ portholes. The bigness was of design–Dobson felt, and feels, that the way to get people hooked on the wonder of the universe is to kick them in the brainpan with the view of some celestial object through a great big telescope. Dobson’s other great invention (or popularization, if you prefer) was sidewalk astronomy. As with the Dobsonian mount, public outreach by astronomers had a long history, but Dobson kicked it up a notch. Before John Dobson, astronomy outreach usually involved bringing people to the telescopes. Dobson brought the telescopes to the people. As he put it last night, he did it to remind people that their address in the universe didn’t end at Haight Street (the famous “hippie” street in San Francisco where Dobson used to set up his telescopes for passersby). Events like International Sidewalk Astronomy Night and Observe the Moon Night trace their roots to Dobson’s brand of engaging the public, and the entire International Year of Astronomy was very much in the same spirit, although obviously much broader. 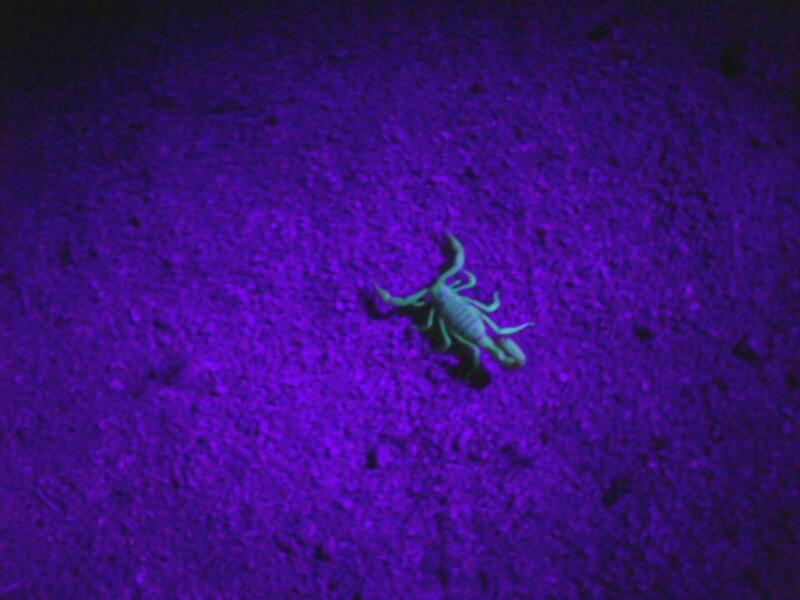 At that point, surreally, I went on a brief scorpion hunting expedition with fellow PVAA member Cliff Saucier, who had a UV flashlight and asked me if I wanted to see some scorpions. I didn’t know before last night that scorpions flouresce under UV light, but man, they shine like little yellow-green suns. Cliff could wave his flashlight back and forth over the desert floor and from 30 feet out we could see scorpions glowing like flares. The picture is blurry because I took it with my phone, but the colors are faithful, just quite a bit less intense than the live view. You’d swear that the scorpions themselves were radiating. It made them look even more like evil machines than they already do, which is saying something. Back at the star party, we were treated to a slide show of stunning desert photography and a life performance by “Hurricane” David McChesney, former national champion harmonica player. Now, I am not normally a big fan of the harmonica, but on the other hand, I have never in my life heard anyone play it like Hurricane Dave. For big swaths of his show I was sitting slack-jawed with a big dopey grin on my face, not because he was funny (although he was, frequently and deliberately), but because it’s awesome to see a master working at the top of his game. I was reminded of the quote that the highest levels of performance in any field of endeavor are indistinguishable from art. After Hurricane Dave, the video astronomy got going. While the SCDVA guys put up one stunning image after another, Clive Wright played his spacey ambient guitar. It was far out, man, and I mean that as a compliment. Up on the big screens we got to see the Ring Nebula, the Dumbbell Nebula, the Swan Nebula, the Lagoon Nebula, the Trifid Nebula, and probably a few others; I didn’t rigorously keep track. Appropriately, the party didn’t end so much as dissipate. London and I were car-camping–I was doubly happy about that after seeing all the apparently radioactive scorpions cruising around the campground–so when he finally got ready to go down I retreated from the star party scene and set up the Astroscan next to the car for a quick session. I only observed for about an hour, but I cruised through about a dozen of the best and brightest deep sky objects, including the North American Nebula and the Veil Nebula, which I can’t see at all from my side of the mountains. I ended on Jupiter and its moons, which were appropriately stunning. It was kinda cool to get out with the ‘Scan. The only other time I took it out to a dark site was also a camping trip–back in 2008 I got to take some students from my ecology class camping in Yosemite, and I took the Astroscan along and gave one of the guys his first-ever view of Saturn. It’s a solid little scope. The f/4 light cone is pretty brutal on eyepieces, but it has a crazy wide field and as long as you don’t push the magnification too high, you can have a lot of fun. I have a feeling that scope is going to be seeing more action in the future. This morning London and I ate a lazy breakfast in camp and took our time getting around. 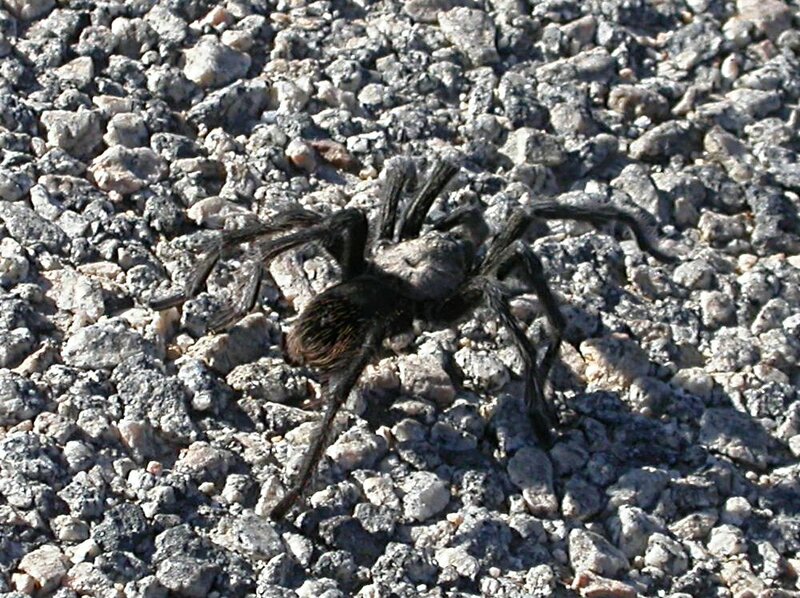 On the drive out we saw a tarantula crossing the highway, so we stopped and watched it for a few minutes. If they gave out medals for doing the spider dance I would have a vault full of trophies, so for me this was an exercise in deliberately creeping myself out. Anything that has more legs than I can easily keep track of is Not Cool in my book. But sometimes even Not Cool is cool. Especially if you and your little boy are scaring yourselves silly watching a humongous spider. 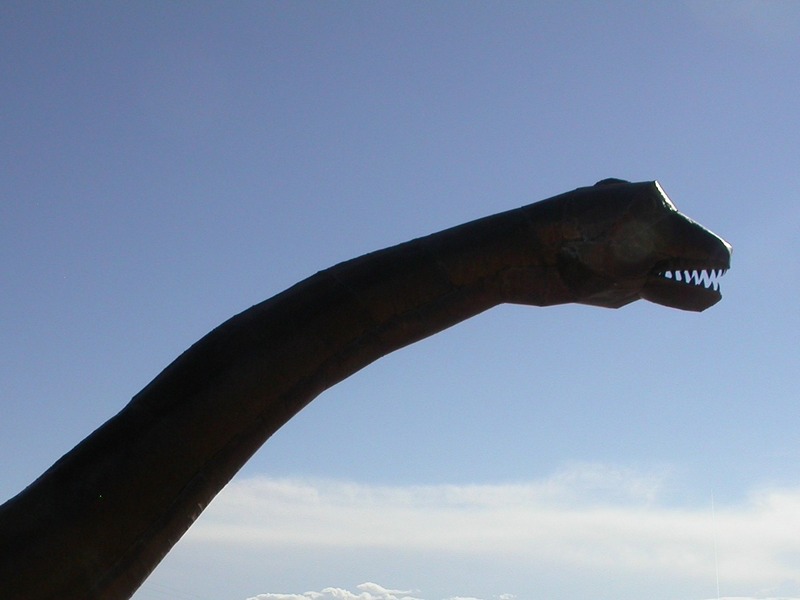 In Yucca Valley we ran into some dinosaurs. Dinosaurs are cool, and roadside dinosaurs are extra cool, but that’s a story I’ll have to take up later this week, over at SV-POW! Final verdict? I had a fantastic time. At one point when no one else was near him, I got to talk with John Dobson for a few minutes and to tell him how much his brand of sidewalk astronomy had inspired me. He was kind enough to autograph my star atlas; I couldn’t think of a more appropriate thing to bear his signature. The site was dark, the sky was clear, the weather was perfect, and the SCDVA were very generous and entertaining hosts. If you ever get the chance to attend one of their shindigs, do it. Maybe I’ll see you there! You are currently browsing the 10 Minute Astronomy blog archives for the day Sunday, October 3rd, 2010.